In the early days of Christianity, martyrs often gave their final testimonies of faith to Roman leaders before they were crucified, burned or fed to lions. Times being what they are, Shahbaz Bhatti turned to Al-Jazeera and YouTube. The only Christian in Pakistan’s Cabinet knew it was only a matter of time before his work as minister for minority affairs got him killed. Threats by the Taliban and al-Qaida kept increasing. “I want to share that I believe in Jesus Christ, who has given his own life for us. I know what is the meaning of the cross and I follow him on the cross,” said Bhatti, in a startlingly calm video recorded several weeks before his assassination on March 2. The last straw was almost certainly the Catholic statesman’s defense of Asia Bibi, a Christian mother of five who was sentenced to death last November for the crime of blasphemy after she publicly defended her faith in a village argument. The verdict — which must be upheld by a higher court — further polarized a tense nation and sparked a global firestorm. Then again, in 2009 Bhatti received the U.S. Commission on International Religious Freedom’s first medallion for the promotion of religious freedom. A year later, he met with Pope Benedict XVI to discuss interfaith work and religious liberty in Pakistan. Bhatti was not hiding his convictions. These blasphemy laws have been used against hundreds of Muslim dissenters and Ahmadi sect members, whose approach to Islam is specifically attacked in the laws. 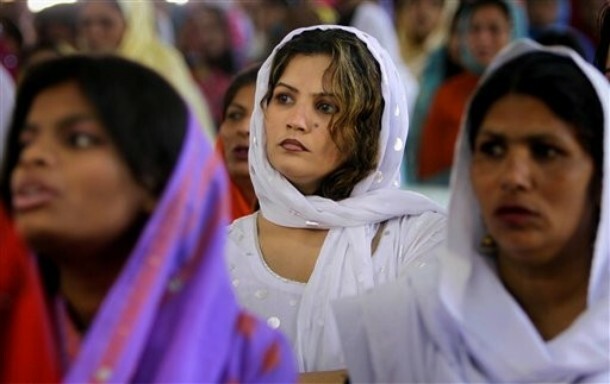 In practice, conversion from Islam to another faith is considered blasphemy, as are attempts to advocate or defend minority faiths, such as Christianity or Hinduism. Vigilantes often kill those formally or informally accused of blasphemy — making trials irrelevant. This was the case with Bhatti’s death in a wave of machine-gun fire into his unarmored car. Pakistani officials had denied his request for an armored car, despite the constant threat of drive-by shootings. Formalities were also irrelevant on Jan. 4, when Salmaan Taseer, the governor of Pakistan’s Punjab Province, was assassinated by one of his bodyguards. This outspoken Muslim also defended Bibi and called for reform in the use of blasphemy laws. Adoring crowds showered Taseer’s assassin with rose petals and garlands as he arrived to face a magistrate, while moderate Muslim leaders remained silent. Pakistan’s legislators observed a moment of silence for Bhatti, since it probably would have been fatal for anyone to offer a prayer in his honor. Apparently, many radicals in Pakistan have concluded — a perfect Catch-22 — that it is blasphemy to oppose the blasphemy laws. Meanwhile, the Pakistani conference of Catholic bishops is preparing to render a judgment of its own. Later this month the bishops will review a proposal to ask the Vatican to designate Bhatti as a martyr. -Terry Mattingly is director of the Journalism Center at the Council for Christian Colleges and Universities. In a forceful appeal for religious freedom, Pope Benedict XVI urged Pakistan on Monday to repeal contentious blasphemy laws as he called on governments around the world to do more to enable Christians to practice their faith without violence, intolerance or restriction. The pope was speaking in an annual address to diplomats accredited to the Vatican, a long-scheduled event. But this year, his words came after bomb attacks in Iraq and Egypt — the most recent in the Egyptian city of Alexandria less than two week ago — and the assassination last week of a leading Pakistani politician who had opposed his country’s law that makes blasphemy against Islam punishable by death. The politician, Salman Taseer, had campaigned vigorously against the law and had petitioned the Pakistani government to re-examine the case of Asia Bibi, a Christian woman who last November was sentenced to death under the legislation. The pope has often spoken out against religious intolerance, but his condemnations have increased after recent attacks on Christian communities in several countries, including Nigeria and the Philippines, where churches were bombed during the recent holidays. The plight of Christians in the Middle East has been of particular concern to the Vatican, which hosted a meeting of bishops in October to address the issue. The concerns have deepened in recent months in the face of what clerics see as sustained violence. At a New Year’s Mass at a Coptic church in Alexandria, a suicide bomber killed 23 people and wounded nearly 100. Last October, a siege at a Baghdad church killed 53 people, prompting yet another exodus of Christians from the country. With its single dirt road, friendly residents and abundance of drowsing donkeys, this village hardly seems a hotbed of religious radicalism. Today, an air of regret permeates Kulluwal. Shafique’s accusers fled town, and their relatives now say the allegations were lies. Many residents call the case a setup fueled by political and personal rivalries. But as Shafique waits on death row, his appeal stuck in Pakistan’s glacial courts, no one is quite sure what to do. 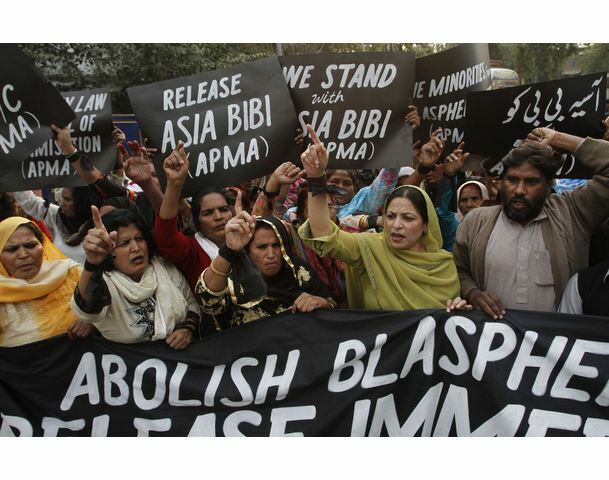 Pakistan is in the midst of a heated debate over its ban on blasphemy following the sentencing to death last month of a Christian woman, Asia Bibi. 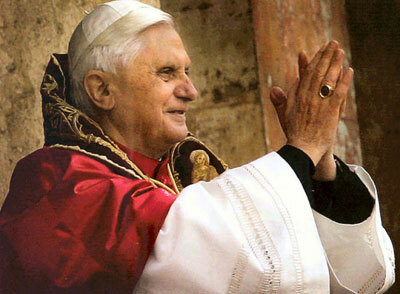 The pope condemned that sentence, which has not yet been carried out. Human rights organizations, meanwhile, have demanded the repeal of a law that they say is used to harass religious and sectarian minorities in this Sunni Muslim-majority nation. But blasphemy cases, about half of which involve Muslim suspects such as Shafique, also point to a more fundamental problem with grave implications for the nation’s U.S.-backed fight against militancy: Pakistan’s broken justice system, corrupt and lacking in expertise, often rewards vendettas and encourages radicalism. In this system, religious extremism is less an epidemic than a menacing shadow – just as it is across Pakistan, an unstable democracy where Islamist threats often eclipse the majority’s more peaceful views. The law against blasphemy – which encompasses vaguely worded prohibitions on insults against Islam – gives radicals a tool with which to bully those who don’t share their hardline religious views. Legal experts say lawyers, witnesses and authorities are frequently intimidated into helping to enforce the law, leading to injustices that bolster militants’ anti-government arguments. Just what happened on the evening of March 17, 2006, in this agrarian corner of Punjab province remains in dispute. It took a court in the nearby city of Sialkot 73 hearings over 27 months to gather enough testimony for a verdict. Lawyers’ strikes, witnesses’ absences and a funeral caused delays. In the end, the key evidence against Shafique, now 22, was witness accounts and soiled scraps of pages from a Koran, which the judge deemed impossible to fake. But Shafique’s family, along with many others in Kulluwal, cite two reasons for such a plot. Shafique, an aspiring electrician, had accused his brother’s wife of adultery. And her alleged paramour had powerful allies, among them a town politician with his own motive: Shafique’s brother was challenging him in a village election. Whatever the case, word of Shafique’s alleged rampage spread, and a crowd beat him viciously, residents recalled. Qari Qadir, the village imam, said he declined requests to announce the offense over his mosque’s loudspeaker, fearing a “serious situation.” Instead, he led a march the next day at which protesters demanded that police file charges. According to court records, two main accusers – the politician and Ahmed’s father – did not testify. Four young men who did gave nearly identical statements about seeing Shafique curse the prophet and rip the Koran. Shafique testified that the charges were personal and political, and that he “heatedly” loved Allah. The court sentenced Shafique to join about 7,600 others in Pakistan on death row, about 60 of whom are convicted blasphemers, according to the Human Rights Commission of Pakistan. The country has not executed anyone since 2008, and blasphemy cases are often overturned on appeal. But for many, that potential reprieve is little help. Suspects are often murdered in prison or after release, a fact one Pakistani court used to justify the blasphemy law – in prison, it reasoned, suspects are protected from public rage. Blasphemy was outlawed during British colonial rule but made a capital crime in the 1980s under the Islamist military rule of Mohammed Zia ul-Haq. Now, the law is being scrutinized; a bill in parliament would shorten sentences, require evidence that the crime was committed intentionally and introduce punishment for false accusation. But while recent international attention has galvanized opponents of the current law, it has also roused defenders. Conservative religious parties have threatened mayhem if the law is changed, an idea they deem a Western conspiracy. One cleric in northwest Pakistan went further, promising $6,000 to anyone who kills Bibi, the Christian woman. Amid this debate, Mirza Shahid Baig, Shafique’s lawyer, sticks to technical arguments. The wrong police investigated, he said, and there was no serious look at Shafique’s side of the story. “I am a very true lover of the holy prophet, but this case was totally false,” Baig said one recent afternoon at his dusty basement office in the bustling city of Lahore. “Whether the law is correct or not correct according to the morality, this is not my job.” In Kulluwal, most everyone seems to agree that a blasphemer deserves death. But they are certain Shafique was not one. The investigators and witnesses who testified against him have all left town, and no one else recalls seeing Shafique’s alleged rampage. Ahmed said his father is ready to recant in court. Another resident, Mohammed Ibrahim, is the brother of the politician who accused Shafique and the father of one youth who testified. Ibrahim said his son has since told him he was pressured to lie, and that his brother forced police to file charges. “He thought of himself as important, as someone who could not be challenged politically,” Ibrahim said of his brother, who, he added, has moved to Canada. To some Kulluwal residents, the whole affair proves elders should resolve disputes, not courts. Shafique, meanwhile, writes letters to his family from solitary confinement. In one recent missive, he said that prison guards avoid touching him. He understands, he wrote, for he reserves no sympathy for blasphemers.